Cape of Good Hope-South Africa. 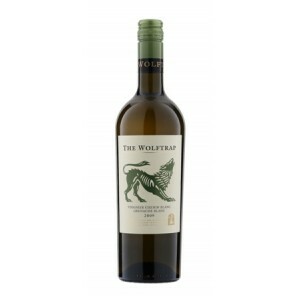 Grape Variety-Viognier 67% Chenin Blanc 19% Grenache Blanc 14%. Clear, pale straw colour. Dominant oak aromas with some raisin notes. Full bodied with hints of cloves and spice. Really good acidity and long length. This wine is a cross between classic Burgundy and the big Aussie style Chardonnays from 5-10 years ago. It has a good mouth feel. The level of French oak is very dominant but elegant at the same time. Unlike the big Aussie whites that have destroyed the image of Chardonnay (I’ll explain my grievance about this in a later blog), it’s a good balance between oak, acidity and fruit. For me the blend is a new one and yet I’ve made comparisons to Chardonnay. The similarity is quite striking. Value wise, it’s quite a serious wine and therefore I think it’s worth every penny. You can drink this on its own but it is a food wine. Drink with Chicken dishes and even some light, spiced dishes. £9.29 at North and South Wines. This entry was posted on April 21, 2011 by The Oenophiliac in Wine Reviews..